Home Soccer Stiven Plaza: "I need to adapt, confidence and physical tone"
Stiven Plaza: "I need to adapt, confidence and physical tone"
Stiven Plaza already wears the elastic blanquivioleta, at least in its presentation yesterday in Zorrilla, since it still needs to adapt to be able to enter a call, as Sergio explained this week and the Ecuadorian confirmed it: "I agree with the opinion of the ' Prof'; I need to adapt to European football that will take a process, but I am predisposed to do so. Trust is the main thing for a player and I also need to get a physical tone ". The signing of this player was a personal management of Ronaldo. 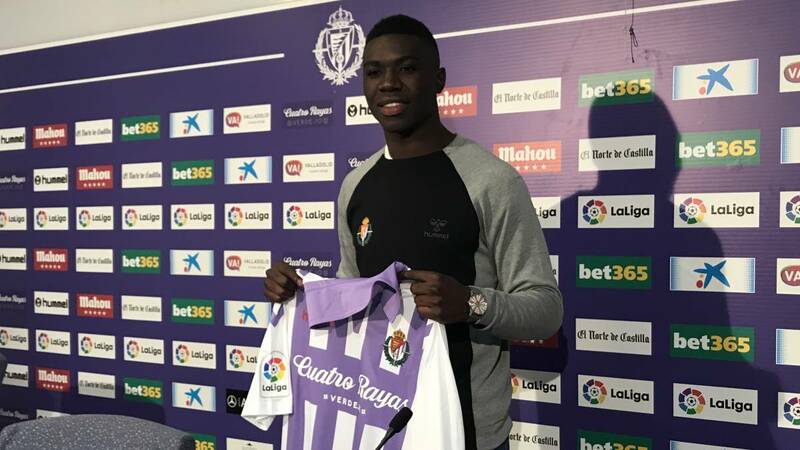 Plaza signed for four and a half seasons and is happy about it: "Personally I am very happy and I thank God for this opportunity and I hope to make the most of it and do what the 'profe' asks." Regarding his style of play he said "I like to run the band and have depth; I think he fitted me well with the style of counterattack by Valladolid ", and confessed that he has seen a lot of the team" that surrenders and always fights ".